‘Beyond Rue Morgue: Further Tales of Edgar Allan Poe’s 1st Detective’ Is Officially Available! Fan of Edgar Allan Poe’s, The Murders in the Rue Morgue? Can’t get enough of the world’s first literary detective, Le Chevalier C. Auguste Dupin? It might be time to make another purchase. A brand new anthology featuring Dupin just dropped, and there is a wealth of talent affixed, including Joe Lansdale, Jonathan Maberry, Clive Barker and more. Beyond Rue Morgue: Further Tales of Edgar Allan Poe’s 1st Detective is on sale today, July 16th, and it looks to be a sensational read. If you’ve never checked out the original 1841 tale, The Murder’s in the Rue Morgue, fret not, it’s included in the anthology, as is Clive Barker’s sequel, New Murders in the Rue Morgue. The other stories are completely original works. This one just landed in our mailbox, so we’ll have a review posted before long. However, we implore you to pick this up. With the kind of authors contributing to the collection, it’s practically impossible to go wrong… when you go Beyond. 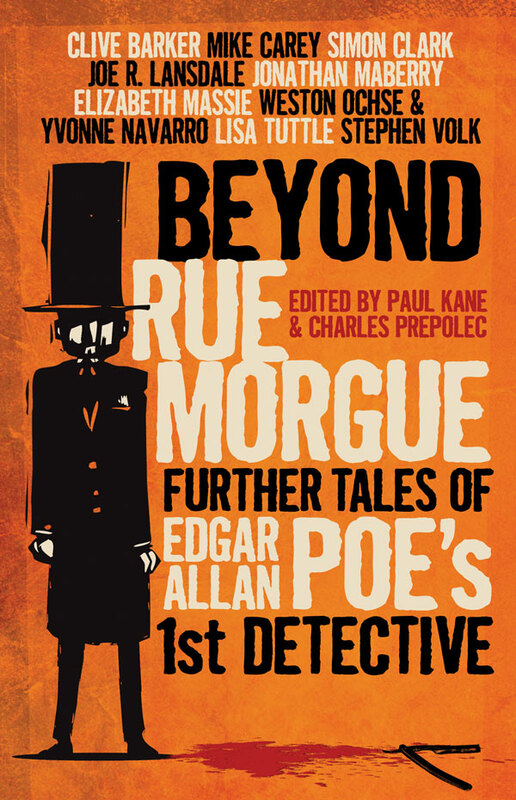 Order Beyond Rue Morgue: Further Tales of Edgar Allan Poe’s 1st Detective right here. 1 Comment on ‘Beyond Rue Morgue: Further Tales of Edgar Allan Poe’s 1st Detective’ Is Officially Available! I know this is kind of off topic but I was wondering which blog platform are you using for this website?